We will contact the winner by Email within 7 working days, please check the spam mail box if you haven't receive our Email, if any question you can also contact me by forum private massage, thank you. Congratulations everyone, this has been fun to watch! Sort of strange evaluation in some case. Third place.... only 6 replys until 30.10, 3 consecutives replys of his own. 4 his own replys, only 2 fan reply. 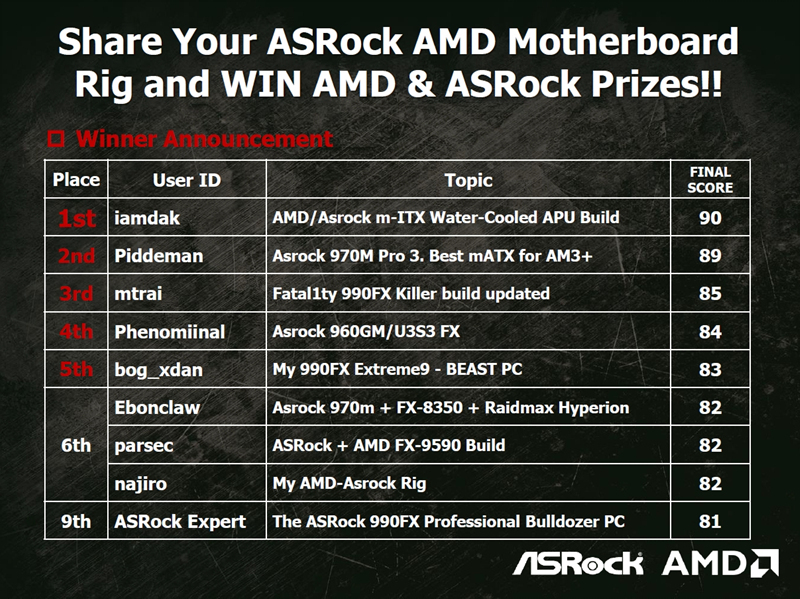 Counting that FAN Score it's 50%, kind of big score even if he has big score from Asrock + AMD the other 50% part. Only 2 pictures of the motheboard itself, i know the rules say 5 pictures of the pc but even so. At least i won 5th prize, i'm happy that i get one. Yes!! :D my first life time win! :D Thanks! Hey, this was pretty fun. Congrats winners! Woohoo! :D I'm totally amazed and honored!! Congrats to everyone; it was really cool to get a glimpse of the hard work and passion we all share in system building. I'm really grateful to have run into this great community and I look forward to checking out future builds you all come up with! 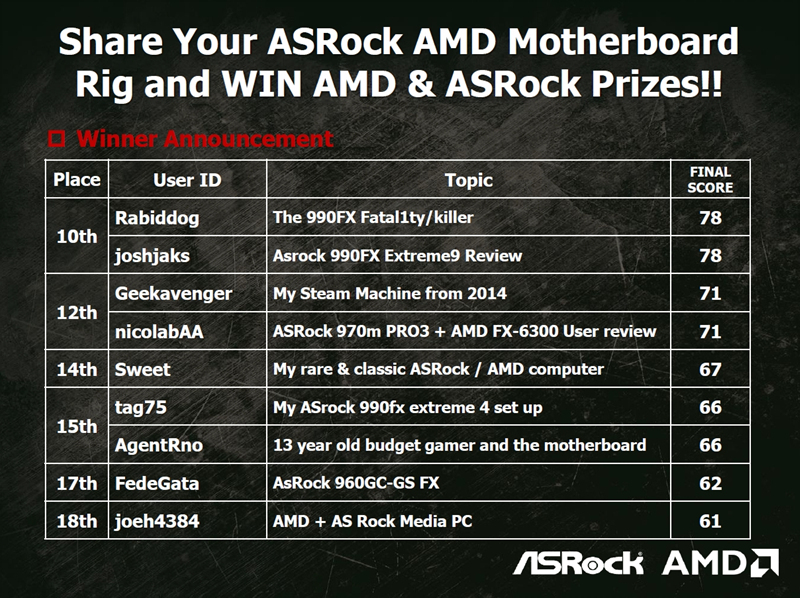 Thanks so much to Asrock and AMD for dedicating time and resources to their fans. Its so very cool when brand loyalty is both recognized and rewarded.